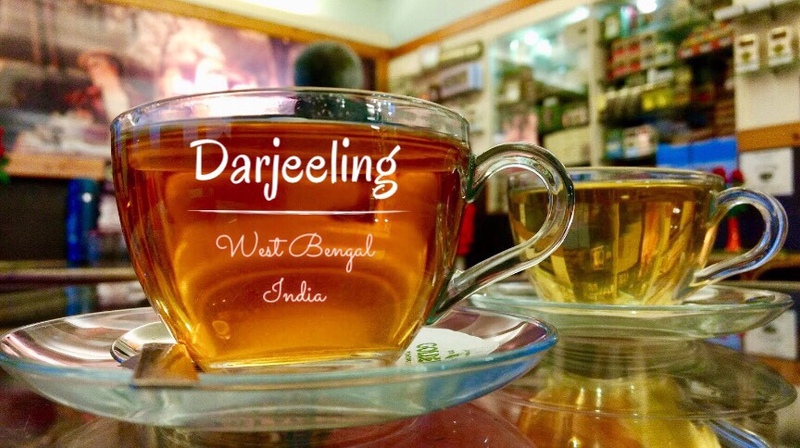 Huddled at the foothills of Mount Kanchenjunga in the Himalayas, the name Darjeeling, meaning the land of thunderbolt, brings to mind the finest quality tea and the ‘Toy Train’ rides. It was the first week of March and we had two and half days with us to experience and explore the ‘queen of the hills’. Like most hill stations, the crowd can be appalling during the peak visiting months when the bookings for hotels get full all at once. All the tourists in Darjeeling retire after sundown and flock around the Mall, located at the heart of the city. Curio shops are lined up around the malls along with some vintage cafes serving freshly brewed tea from the neighboring tea garden. We picked the first and second flush from the extensive tea menu, second flush being my personal favorite. The train swoops through the city, going around and soaring up the mountain. The whole train ride extends from Darjeeling to Siliguri covering a distance of 60Kms taking more than seven hours, to cover one way. There were short rides available from Darjeeling to Ghum station and back which took about two hours. The train chugs through the middle of the city, flanking the houses, shops and narrow streets on one side with a scenic view of the hills and mountains on the other. The first stop is at the Batasia Loop which marks one of the unique engineering features of the Darjeeling Himalayan Railway harking back to a rich history of the British settlement era. It was inscribed a World Heritage status in 1999 as an innovative transportation system though it is now redundant as a mode of commute. The redundancy is perceptible as the train toots away at a snail’s pace allowing you time to slowly relish the delightful spectacle outside. The heavy smoke from the engine can at times feel unpleasant but the landscape with the distant view of snow-capped Himalayas make up for it quite well. Even better than savoring the taste of the locally available tea was taking a tour inside the Happy Valley tea estate to watch the tea being processed. A long walk along the spiral roads down the gentle slopes amidst the tea garden leads to the tea factory. Most of the tea bushes there were a hundred years old. A tour around the factory with a guide taught us a lot from farming to processing of tea leaves by which different categories of tea are made. We walked through a long walkway along large glass covered rooms with machines that wither, haul or crush tea leaves while being passed through large containers, belts and pipes. At the end of the tour we also tasted a few varieties of them. A few more places worth a visit are the Himalayan zoological park which accommodates some endangered species of Red Panda, Snow leopard and Tibetan wolf, and the mountaineering institute which includes a large two storied extensive museum that gives you a feel of the complexity involved in mountain climbing and the impenetrability of the Himalayas. This place also houses some of the original climbing equipment from the first successful climb to the Everest. In short, there is something for everyone in this ever-bustling queen of the hills. From its old world charm to the subtle aromas of world’s finest teas, it would never fail to surprise you.